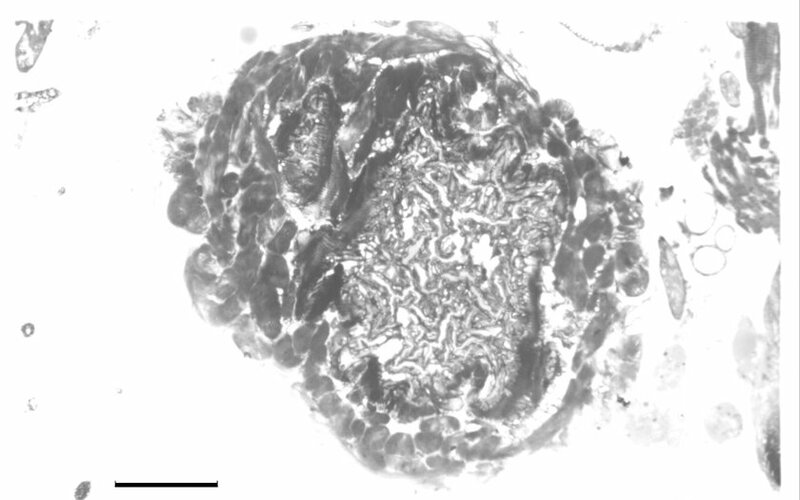 Preliminary Observations of the Pygidial Gland of the Bombardier Beetle, Brachinus sp. Originally published in Journal of Creation 17, no 1(April 2003): 95-102. 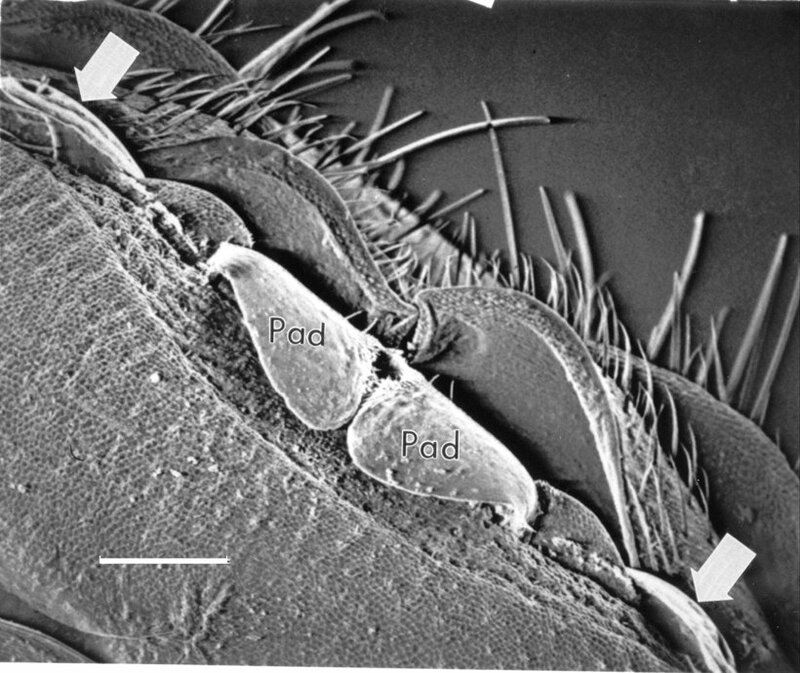 In this study the pygidial gland and nozzle of one species of Bombardier Beetle is studied under light and electron microscopy (SEM and TEM) and are shown to be quite complex. The Bombardier Beetle (Brachinus sp, Metrius sp., Stenaptinus sp.) 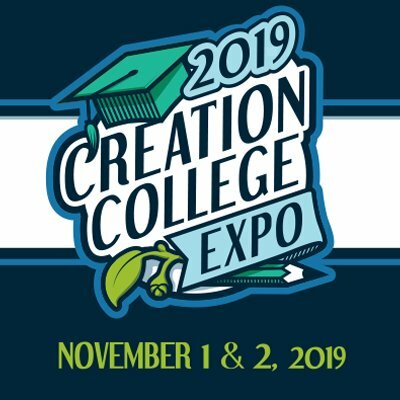 has been the subject of much discussion by creationists and evolutionists alike. Recent reports demonstrate the sophistication and accuracy with which these carabid beetles deliver a spray of hot quinones and steam to ward off predators. 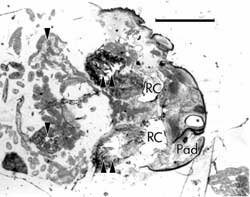 Workers over the last 40 years have reported on the histology and ultrastructure of the pygidial gland and accessory components of these defensive organs. Those reports differ significantly from the present paper. Thus it appears that some distinction exists in the morphology of the enzyme secretion bodies, the chemical reservoirs, the reaction chambers and the actual aiming nozzles of the spray systems within the family Carabidae, even though these beetles use these glands for the same purpose. 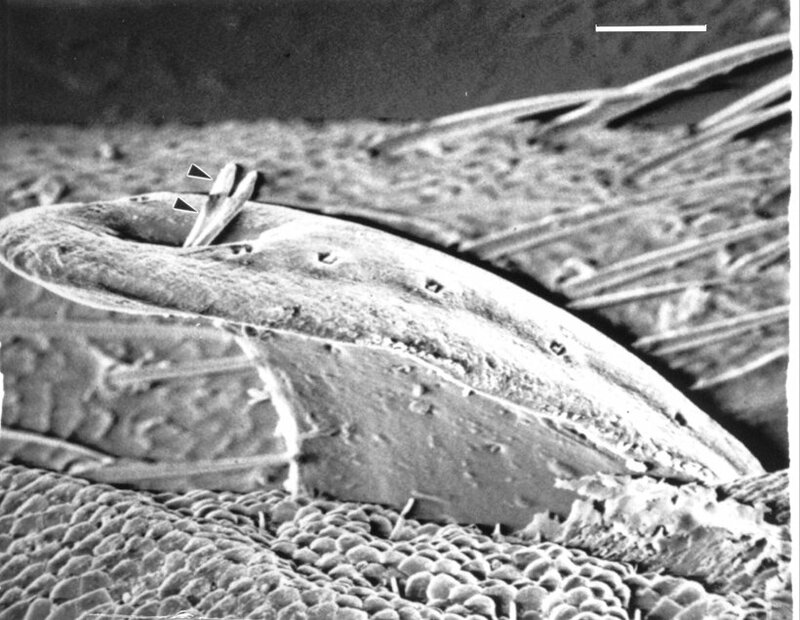 In this study the pygidial gland and nozzle of one species of Bombardier Beetle is studied under light and electron microscopy (SEM and TEM) and are shown to be quite complex. This complexity could suggest an origin by design. The Bombardier Beetle has been a subject of interest for many years. This beetle is called a ‘bombardier’ because it ejects (with an audible popping sound), a hot, highly noxious spray of aqueous benzoquinones, oxygen and steam as a defence mechanism against would-be predators.1,2,3,4,5,6,7,8,9,10,11,12,13,14,15 This secretion is very accurately delivered via twin sets of spray nozzles located at the tip of the beetle abdomen and is most effective at stunning predators,5 even mammals such as mice, thus allowing the beetle to escape. Bombardier Beetles range in size from 2.0 mm overall length (Mastax) to 30 mm in length (Aptinomorphus) and can be found all over the world, from the United States and Mexico to Australia.16 They live under rocks or pebbles in cool, sandy soil, usually near a stream or a lake. Aggregating in groups during the daytime, they are usually active at night. Figure 1. Pygidial gland and accessory components of the Bombardier Beetle defence system (after Forsyth).12 Scale bar = 1.0 mm. The defence system of the Bombardier Beetle is very complex and no one has attempted to truly explain the design or intrabaraminic diversity of the system. This paper serves as a preliminary report on observations of beetles from the Brachinus genus. According to the literature, paired secretory lobes connect via long tubes to collecting reservoirs, each of which are surrounded by a thin layer of muscle, and joined to a reaction chamber by means of a one-way valve controlled by a sphincter muscle.1,4,6,15 One study,17 however suggests that the valve itself oscillates passively, in an automatic fashion. That report maintains that the collection reservoir, the valve, and the reaction chamber function together to work as a ‘pulse jet,’ with the spray emitted in pulses. Using a microphone, force transducer (piezoelectric crystal), and high-speed cinematography, workers discovered that each discharge (lasting 2.6 to 24.1 ms) consists of 2 to 12 individual pulses, and that they are in reality individual micro-explosions repeating at 368 to 735 pulses per second within the reaction chamber.17 These researchers postulate that the beetle does not squeeze the collection reservoir or the sphincter muscle rapidly, but that the beetle applies even, steady pressure on the collection reservoir. Once the muscles around the reservoir squeeze the first amount of reactants through the valve into the reaction chamber, the resulting explosion causes the pressure to rise rapidly in the reaction chamber, forcing shut the one-way valve. The products of the reaction then exit the chamber with a pop and a puff, and the pressure inside the reaction chamber lowers again, falling below the pressure of the collection reservoir, which is still being squeezed by the reservoir muscles. The cycle then repeats itself—the valve thus oscillates passively. When the hydrogen peroxide and hydroquinones come into contact with the enzymes, an explosive reaction takes place, yielding water, quinones, heat and gaseous oxygen. The pressure of the free oxygen propels the mixture out of the reaction chamber through the spray nozzle, directed to the target (either at the predator or on the beetle’s own integument as a protective measure) by way of flanges (as in the tribe Paussini), line grooves (as in the Metriini), or spray deflectors (as in the Brachinini). Bombardier Beetles in general have similar collecting canals, however there are some differences. The Ozaenini and Paussini tribes have identical collecting canals, and this supports the widely accepted theory that the Paussini have developed from the Ozaenini, but it is agreed that these are not directly related to the Brachinae.6,9 Other authors lament the close similarities in defensive systems in very disparate organisms. In fact the chemical secretions of the Brachinae ‘bear a close resemblance to those of certain … millipedes … earwigs and cockroaches.’5 Thus evolutionists are faced with the vexing conundrum that this defence system evolved independently in separate groups.2,4,5,9,11These evolutionists might state that ‘convergent evolution’ was responsible for this, but that simply does not address the question. Metriini, a Bombardier Beetle that has a different method of spraying its secretion, has dissimilar glands in most aspects to the Ozaenini, but the collecting canals of Metrius, a well-known genus in Metriini, are very similar to both the Ozaenini and Paussini.12 The Brachinini have exceptionally long collecting canals, up to twice the length of the body of the entire beetle, seemingly much longer than would be necessary to move the secretion from the lobes to the collecting reservoir,12 and again, confusing the systematists. The collecting reservoir varies in shape and size among Bombardier Beetles. Covered in a thin muscle layer, and having both an efferent duct opening and an opening valve, differences can be seen between the different tribes of Brachinini, Metriini and Paussini.9,12 The reaction chamber, as mentioned, is confusingly reported on the one hand to store secretions of enzymes, and on the other to secrete them in real time when the beetle is alarmed. 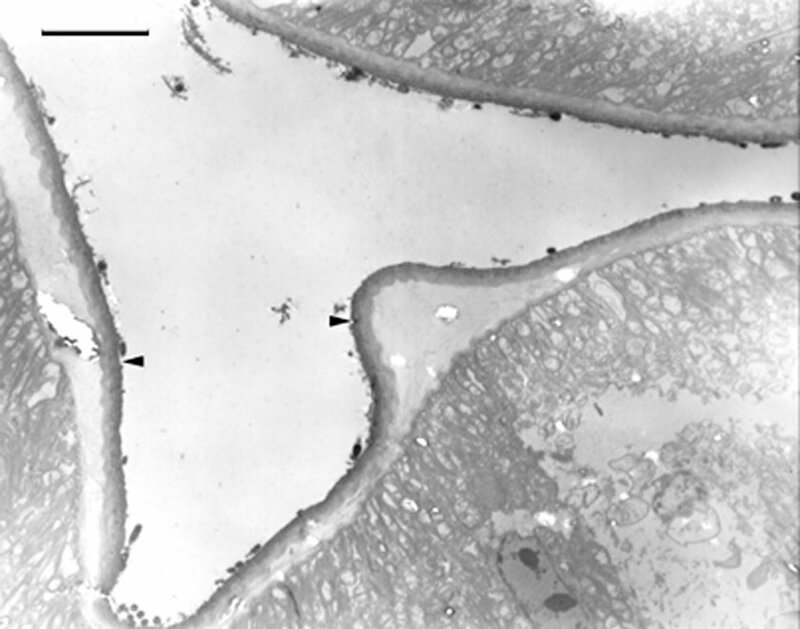 The flexible abdominal tip of the genus Brachinus can bend around in all directions even shooting directly forward, in an anterior direction over the dorsal surface, with help from special deflection plates.8,17 These hardened cuticular plates, acting as deflectors, are located just outside the opening of the reaction chamber, and give directional control to the discharge by changing their angle of deflection. Exactly how these deflectors are used to direct the spray is not understood. Twenty beetles of the Brachinus genus, (probably B. mexicanus and B. gebhardis) were collected by hand from underneath rocks lying along a stream bed in Santa Clarita, Los Angeles County, California. Beetles were observed to congregate in tightly knit groups until disturbed and then went scurrying in all directions. Beetles fired off their hot quinone spray when captured and left fingertips blackened by the spray. They were kept in covered 30 cm diameter glass Stenner dishes in the laboratory and were sustained by bits of chicken (lunchmeat) and water-soaked cotton swabs for over a year. Beetles calmed significantly over time in captivity to the point that they rarely fired their spray when nudged by finger, and they would often mill around when disturbed rather than run and hide. 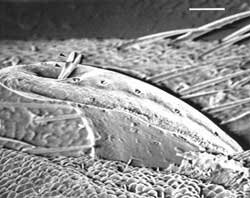 Ten beetles were prepared for SEM by cooling on ice and immersion into cold 2% glutaraldehyde buffered in .2M sodium cacodylate for 36 hours. Abdomens of fixed material were washed in water and buffer and were passed through a graded series of acetone assisted by microwave radiation in a laboratory microwave oven (Ted Pella, Inc, Redding, CA.). 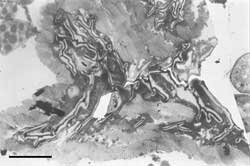 Dehydrated material was left in tetramethylsilane overnight, allowed to air dry, and then was sputter coated in gold and observed on a JEOL SEM at 15kV. 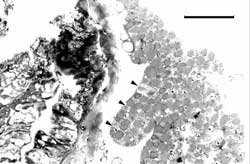 Ten beetles were prepared for TEM similarly, except they were postfixed in 2% osmium, then washed and dehydrated. 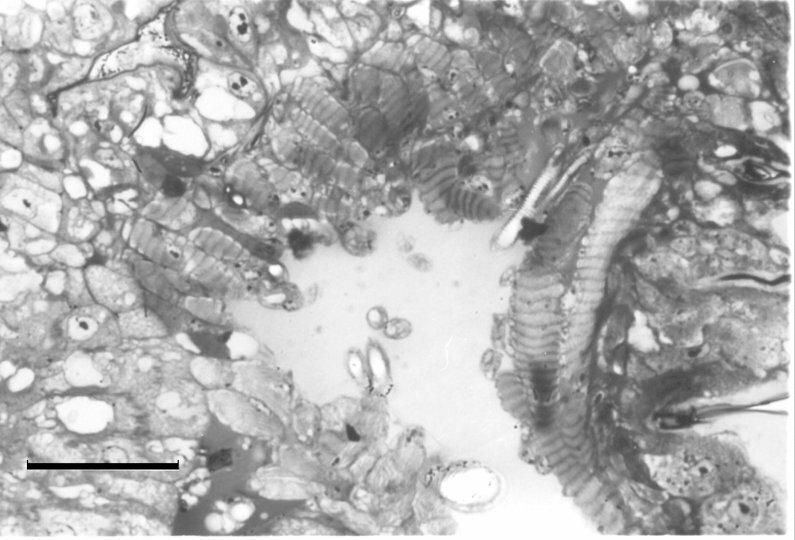 Complete, dehydrated abdomens were infiltrated and embedded in Epon-Spurrs resin in the microwave oven, and silver sections were collected, stained and viewed on a Zeiss 10C TEM. Secretory lobes, collecting canals, storage reservoirs, reaction chambers and muscular exit nozzles were all relatively well preserved (Figure 2), although the reservoirs often displayed incomplete Epon-Spurrs infiltration. This may possibly be a result of incomplete dehydration due to the large amounts of hydrogen peroxides and hydroquinones stored there. 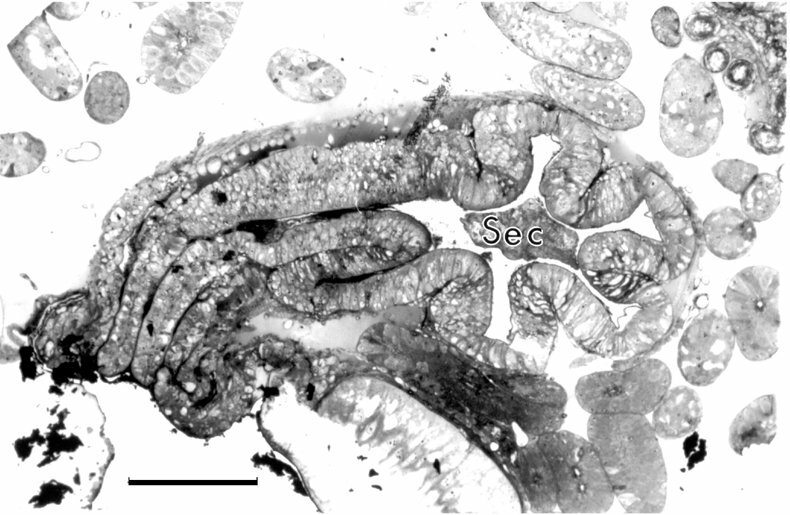 Secretory lobes were very well preserved, including some of the secreted material (Figure 3) and the collecting stalks and collecting lumens were clearly visible. 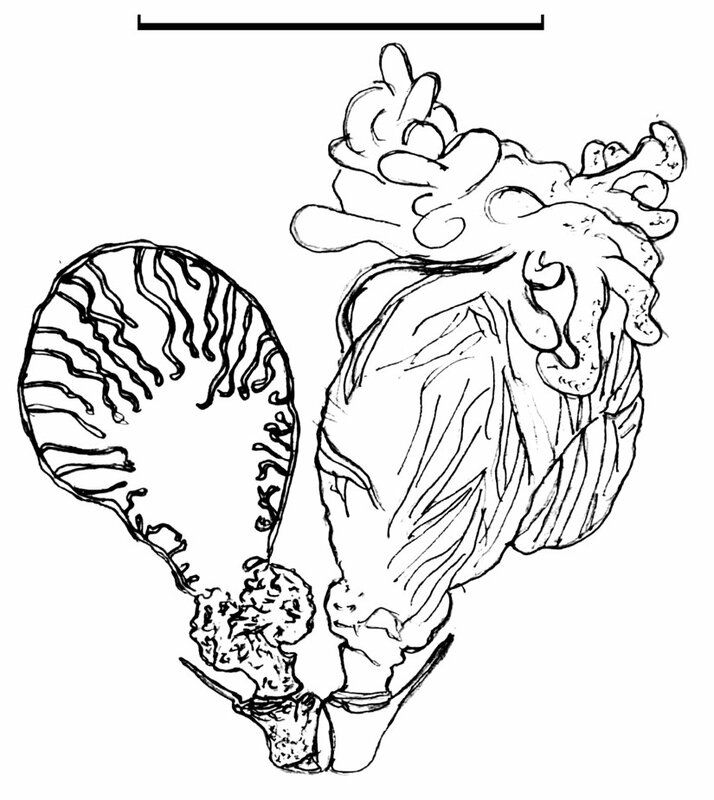 The inner walls of the secretary lobes were thickly lined with chitinized lamella (Figures 4, 5) with a coarsely grained, undulating outer margin. 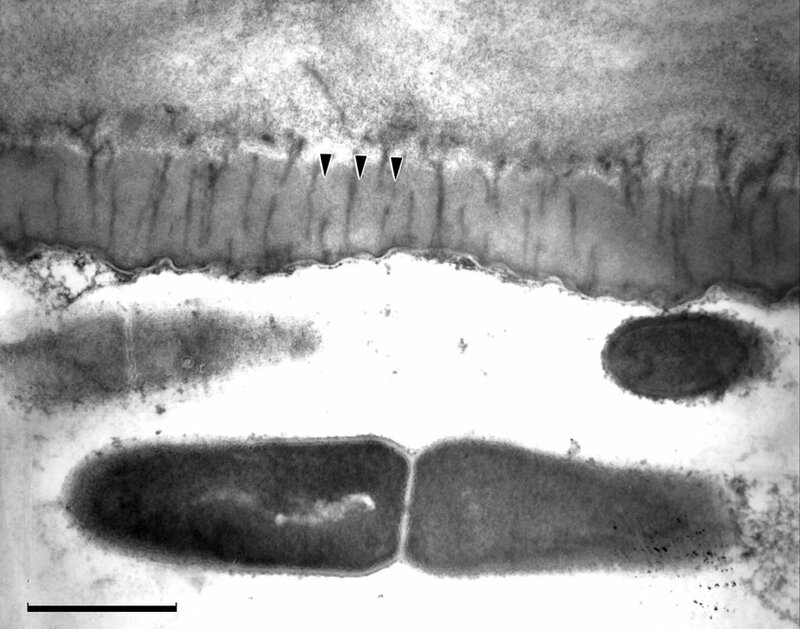 Proximal to this chitinized layer was a tissue layer with large and abundant mitochondria (Figure 5). The chitinized walls that lined many of the spray flow structures exhibited birefringence in polarized light microscopy. 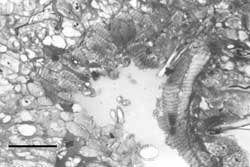 Massive striated muscle was found, as anticipated, surrounding the storage reservoir (Figure 8), but unexpectedly the secretory lobes (Figure 9), collecting tubes (Figure 10) and parts of the main collecting stalk all had thick layers of muscle around them. 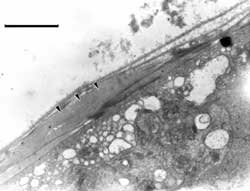 In fact, the juncture between the main collecting stalk and the storage reservoir was collared by a ring of striated muscle (Figure 11). The reaction chamber was also surrounded by muscle, in contrast to earlier reports for other genera of these beetles. 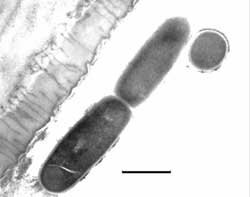 The enzyme-secreting structures, which purportedly line the reaction chamber walls, were not evident. Abundant musculature often surrounds various passageways leading from the reaction chamber to the exit nozzle, and these passageways are also very thickly lined with chitin (Figure 12). The abdomen tip was heavily muscled, as expected, and these muscles extended out to the cuticular deflector plates (Figure 13). 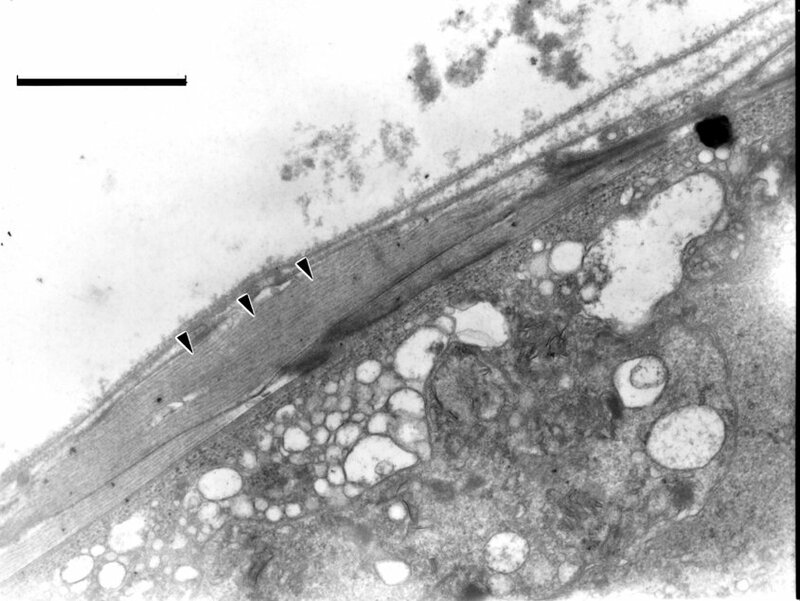 The spaces surrounding the reservoirs, secretion lobes, collection canals and muscle tissues were densely packed with fat bodies comprised mostly of large lipid droplets (Figure 14). 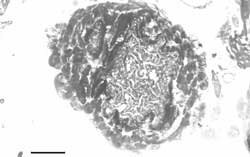 The secretory cells were accurately described by Schnepf et al.,15 complete with microvilli spanning the center of the cell. The nozzle of Brachinus is different from any description heretofore presented in the literature on this or other genera. 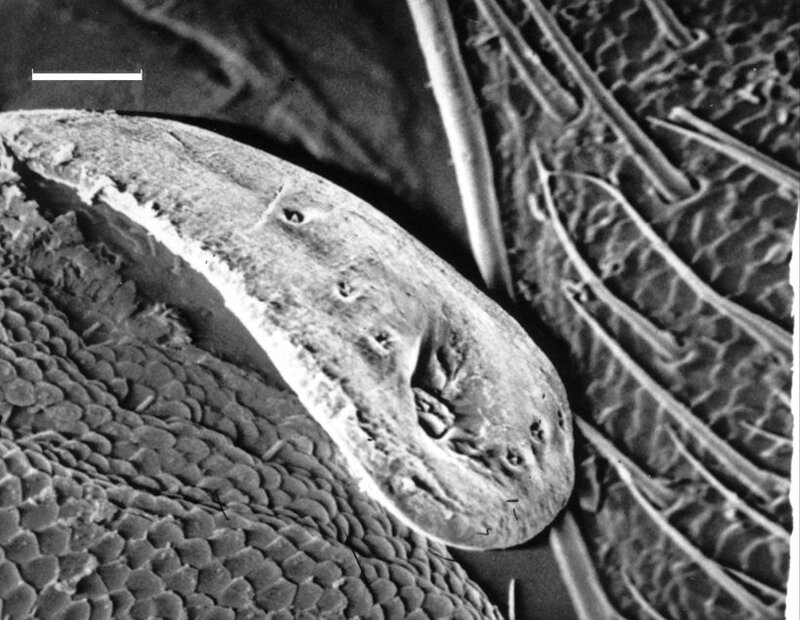 Extending from the abdominal tip on either side of the tip are tongue-like projections (Figure 15), which upon closer examination reveal a pattern of apertures used for spray dispersal (Figure 16). A large pore is embedded at the tip of the nozzle containing flattened hairs or papillae that extend out of the pore and above the surface of the nozzle. Additionally, five or more much smaller pores run along the midline of the tongue-like nozzle, each with a small papilla extending from the center of the pore. 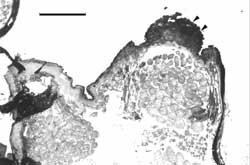 Some nozzles had fewer small pores (Figure 17), but all of them had at least 3 along the midline. 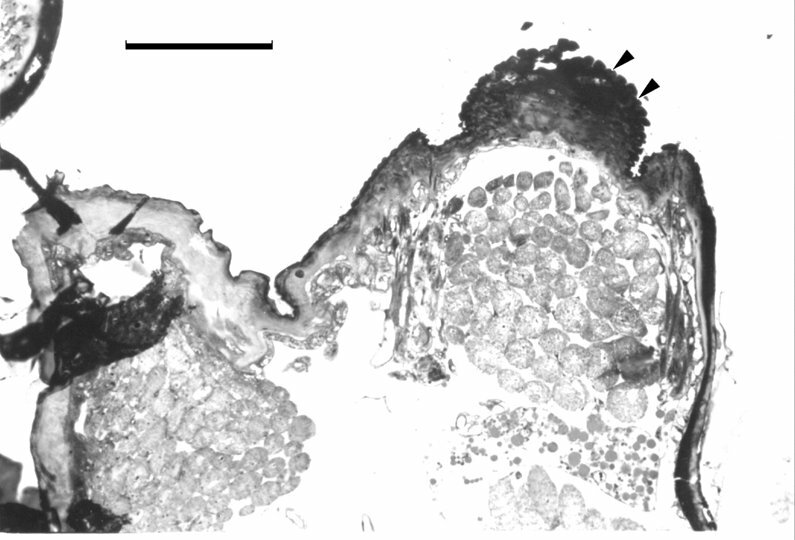 These nozzles could not be confused with ‘eversible gland openings,’ as described by Forsyth,12 or the obviously everted female spermatheca (Figure18). 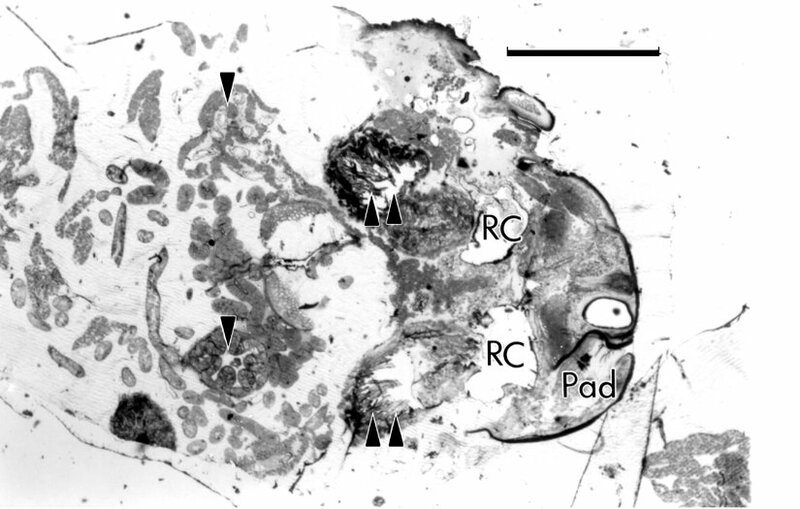 In contrast to previously reported structural studies of Bombardiers9,17 it is here shown that muscle surrounds all structures related to the defensive spray of the genus Brachinus, including the reaction chamber. 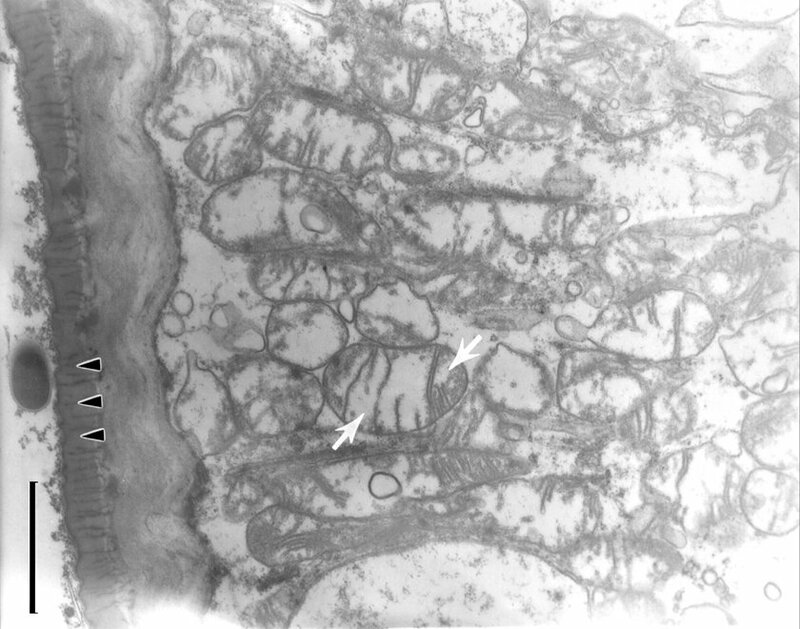 Workers have suggested the possibility that some of these structures represent tracheoles (the finer branches of trachea or tubes through which oxygen reaches arthropod tissues), however, our EM study of these areas clearly yielded the Z-lines associated with striated muscle. 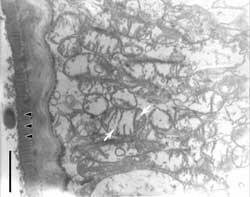 Tracheoles were visible in many of the sections we made, and they look nothing like the typical muscle fibers shown in Figures 11 and 12. According to Eisner,5 the Brachinini can fire quite rapidly (four discharges in succession) if exposed to prolonged pulling on an appendage. The total numbers of discharges, one after the other, may vary by individual beetle. Eisner writes: ‘Five specimens that had remained undisturbed for six days discharged 9, 13, 22, 23, and 29 times respectively, in periods of less than four minutes each, before their supply appeared to be exhausted.’ Eleven hours later, the same beetles were able to discharge 2, 0, 4, 5, and 4 times respectively. 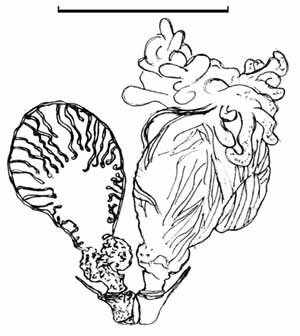 The muscled secretory lobes would allow the beetle to push the secretions into its collection reservoir faster, decreasing its recovery time after it had depleted its supply of secretions. The same would follow for the collection canals and storage reservoirs. 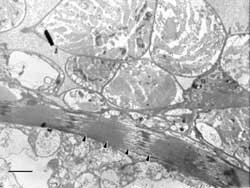 Muscles around the reaction chamber may serve to exercise some control over the violence of the reaction, or to quickly expel left over byproducts in anticipation of another blast. Additionally, the Bombardier Beetle can ‘play off its artillery’ much faster than other chemically secreting arthropods. Toads can capture such arthropods (millipedes and other beetles which secrete noxious substances) because a rapid flick of their sticky tongue allows them to grab and swallow before the arthropod can take action.35 However, Bombardier Beetles are able to discharge their spray in as little as 90 milliseconds when sufficiently provoked, thus outgunning the American toad.17 The heavily muscled secretion lobes, reservoirs and reaction chamber as shown in this study would account for this ability to exhibit speed and rapid repetition when provoked to discharge. The large fat bodies, brimming with lipids as shown in Figure 14, are closely approximated to the muscle groups. This would allow for the rapid processing of lipids for the energy needed to discharge spray repeatedly. As mentioned, the Bombardier Beetle has particularly high accuracy for hitting its intended target. This accuracy could certainly be as a result of employing the previously described deflectors and highly flexible abdominal tip, but the muscular eversible spray nozzle with hydrodynamic vent holes as shown here would only serve to improve that accuracy. The remarkable photographic evidence of the aiming capability of Stenaptinus insignis previously reported8 shows clearly that the spray emanating from the abdominal tip of the beetle is already well dispersed and not ejected as if from a pin-point source or aperture. 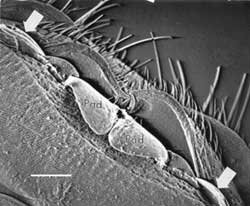 Thus the nozzle pores and hair-like papillae reported here must serve to disperse the spray as shown. Duane Gish of the Institute for Creation Research was the first to use the Bombardier Beetle’s defence system as an example of complex design,23 in an effort to show that evolution could not bring about integrated systems such as that of the Bombardier Beetle. In his book, Dinosaurs: Those Terrible Lizards,22 Gish explained the Bombardier Beetle’s defence mechanism, arguing that it could not have arisen by way of variation and natural selection. He reasoned that all the components of the mechanism would have had to be present and functioning from the start, otherwise the system would not work. This useless system would be selected against thus eliminating it from the gene pool. A worse case scenario, he reasoned, would be that the beetle’s half-evolved system would misfire, causing it to blow itself up, driving it to extinction. Gish made mention that the hydroquinones and hydrogen peroxides were ‘explosive,’ when clearly, these two compounds are not explosive when combined—they just turn brown as a result of the oxidation of the hydroquinones to quinones. The fact is, they are stored by the beetle in large quantities and yet they remain completely clear and colorless, even after the beetle has died (our personal observations). Gish stated that there must be an ‘inhibitor’ present in the mixture, added by the beetle to prevent an explosive reaction. Gish used the word ‘explosive’ based on a translation error made by Dr Robert Kofahl on an early article published in German on the Bombardier Beetle.13,23 A correct translation might have been ‘unstable,’ according to Gish.23 Meanwhile, the evolutionists, particularly Frank Awbrey and William Thwaites23 seized upon the notion that Gish had made a mistake and publicly ridiculed him. Weber, writing for an anti-creationist newsletter,31 pointed out that Gish had wrongly included the use of an ‘inhibitor’ and ‘anti-inhibitor’ by the beetle, stating that neither were reported by Schildknecht and Holoubek. A popular creationist book27 on the subject of the Bombardier Beetle, which continues to be printed also contains errors regarding the structure and function of this beetle. It states that ‘We have two glands in our tail ends. One makes “hydroquinone.” The other makes “hydrogen peroxide”’ (p. 23). As mentioned, it has been reported that the same secretion cells make both compounds. Additionally, several times in the creationist book text, the defensive discharge is said to be accompanied by flashes of light—something not reported anywhere in the literature nor observed during our experimentation with Bombadier Beetles over two years. Bombardier Beetles employ a very sophisticated defence system—a compilation of distinct and separate anatomical parts, brought together into a complete, comprehensive and very effective system. The system seems to function as a designed machine by rapidly and effectively thwarting predatory behaviour. Behe has shown33 that for biochemical complexes, all the components of the complex (machine-like system) have to be present in order for the biochemical machine to do its job. He has also argued, however, that Darwinian evolution may have been responsible for the formation of the Bombardier Beetle defensive system. It may be that we are observing irreducible complexity in the defensive system of these carabid beetles, but, in order to make that claim we would have to show that all of the genes involved in forming the secretion lobes, reservoirs, oscillating valves, reaction chambers, muscles, hydrogen peroxides, hydroquinones, inhibitors and enzymes are all essential for the working Bombardier system. In addition we would have to demonstrate that the system would fail to function if one of these components were removed. If we could succeed in demonstrating this, an argument may be made that the concept of irreducible complexity applies to anatomical structures, just as they do to biochemical complexes, but such an argument is beyond the scope of this study. The differences noted between Brachinus (this study) and other genera of Bombardier Beetles may be significant in understanding intrabaraminic diversity in this group. 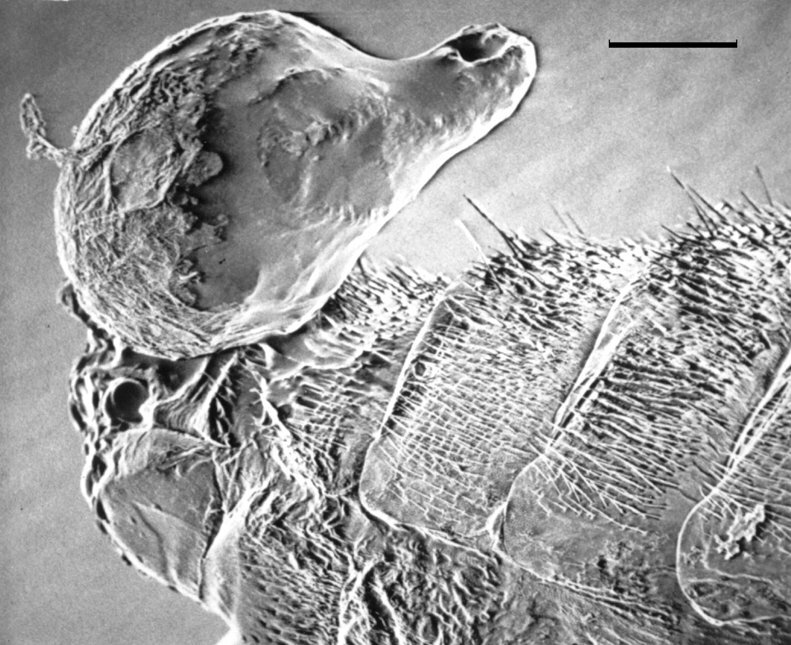 It is the authors intent to conduct further ultrastructural, behavioral and baraminological studies of Bombardier Beetles in the hope of understanding the diversification within these beetles. The authors thank Todd Wood and the anonymous reviewers for constructive comments on drafts of this work. We are also indebted to Bob Jensen for assistance in collecting and in identification. Mark Armitage studied biology and plant pathology at the University of Florida. He holds an MS in Biology with emphasis in electron microscopy from the ICR Graduate School. 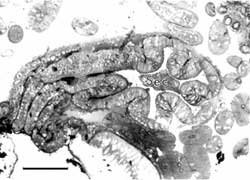 His photomicrographs have been featured on the covers of seven scientific journals and he has published widely on parasitology. He is enrolled in a doctoral program at Liberty University, and currently runs an electron microscopy facility in Southern California. Mark Armitage is a Life Member of the Creation Research Society. Luke Mullisen received his B.S. from the Biological Sciences Department, California Polytechnic State University in 2001. He has a keen interest in the Creation-evolution controversy. Aneshansley, D.J., Eisner, T., Widom, J. M. and Widom, B., Biochemistry at 100°C: explosive secretory discharge of Bombardier Beetles (Brachinus), Science 165:61–63, 1969. Aneshansley, D.J., Jones, T.H., Alsop, D., Meinwald, J. and Eisner, T., Thermal concomitants and biochemistry of the explosive discharge mechanism of some little known Bombardier Beetles, Experientia 39:366–368, 1983. Blum, M.S., Chemical Defenses of Arthropods, Academic Press, New York, 1981. Crowson, R.A., The Biology of the Coleoptera, Academic Press, New York, 1981. 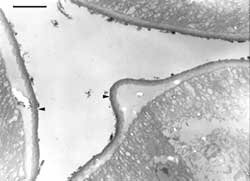 Eisner, T., The protective role of the spray mechanism of the Bombardier Beetle, Brachynus ballustarius, J. Insect Physiology 2:215–220, 1958. Eisner, T., Chemical defense against predation in arthropods; in: Sondheimer, E., and Simeone, J.B. (Eds), Chemical Ecology, Academic Press, New York, 1970. Eisner, T. and Aneshansley, D.J., Spray aiming in Bombardier Beetles: jet deflection by the coanda effect, Science 215:83–85, 1982. Eisner, T. and Aneshansley, D.J., Spray aiming in the Bombadier Beetle: photographic evidence, Proc. Nat. Acad. Sci. USA 96:9705–9709, 1999. Eisner, T., Aneshansley, D.J., Eisner, M., Attygalle, A.B., Alsop, D.W. and Meinwald, J., Spray mechanism of the most primitive Bombardier Beetle (Metrius contractus), J. 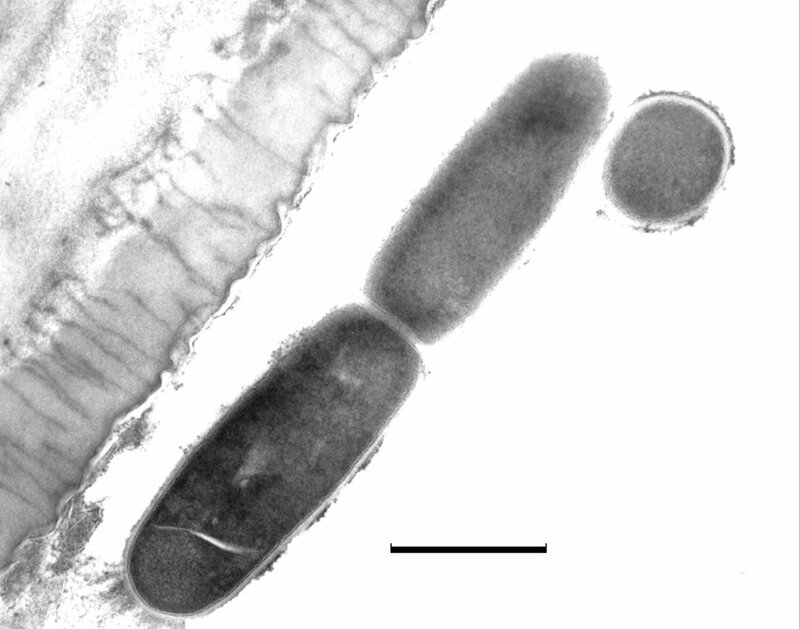 Experimental Biology 203:1265–1275, 2000. Eisner, T., Attygalle, A.B., Eisner, M., Aneshansley, D.J. and Meinwald, J., Chemical defense of a primitive Australian Bombardier Beetle: Mystropomus regularis, Chemoecology 2:29–34, 1992. Eisner, T., Jones, T.H., Aneshansley, D.J., Tschinkel, W.R., Silbergleid, R.E. and Meinwald, J., Chemistry of defensive secretions of Bombardier Beetles (Brachanini, Metriini, Ozaenini, Paussini), J. Insect Physiology 23:1383–1386, 1977. Forsyth, D.J., The structure of the pygidial defence glands of Carabidae (Coleoptera), Transactions of the Zoological Society of London 32:249–309, 1972. Schildknecht, H. and Holoubek, K., Die bombardierk‰fer und ihre explosionschemie, Angewandte Chemie 73(1):1–7, 1961. Schildknecht, H., Maschwitz, E. and Maschwitz, U., Die explosionschemie der bombardierk‰fer: struktur und eigenschaften der brennkammerenzyme, J.Insect Physiology 16(4):749–789, 1970. Schnepf, E., Wenneis, W. and Schildknecht, H., On the defense substances of arthropods. The chemistry of the Bombadier Beetle (Coleoptera, Carabidae), IV. The fine structure of the defensive glands of Brachynus crepitans, ZeitschriftfËur Zellforschung und mikroskopische Anatomie 96:582–599, 1969. Erwin, T., A reclassification of Bombardier Beetles and a taxonomic revision of the North and Middle American species (Carabidae: Brachinida), Quaestiones Entomologicae 6:4–215, 1970. Dean, J., Aneshansley, D.J., Edgerton, H.E. and Eisner, T., Defensive spray of the Bombadier Beetle: a biological pulse jet, Science 248:1219–1221, 1990. Dean, J., Encounters between Bombardier Beetles and two species of toads (Bufo americanus, Bufo marinus): speed of spray capture does not determine success, J. Comp. Physiology 135:41–50, 1980. Nakatani H.S., de Oliveira N.G, Godinho O.E., Aleixo L.M. and Zinner K., Bombardier Beetle based biosensor, Biosensors and Bioelectronics 11:489–492, 1996. Anon., , Creation 12(1):29, 1990. Bombardier Beetle debate and poll: is this proof that evolution may be false?, 25 May 2001. Gish, D.T., Dinosaurs: Those Terrible Lizards, Creation Life Publishers, San Diego, 1977. Gish, D.T., Creation Scientists Answer Their Critics, Institute for Creation Research, El Cajon, 1993. Hitching, F., The Neck of the Giraffe, Ticknor and Fields, New York, 1982. Huse, S.M., The Collapse of Evolution, Baker Books, Grand Rapids, 1993. Kofahl, R.E., The Bombadier Beetle shoots back, Creation/Evolution 2(3):12–14, 1981. Rue, H.M., Bomby the Bombardier Beetle (third printing), Institute for Creation Research, El Cajon, 1993. Arthur, J., Creationism: bad science or immoral pseudoscience?, Skeptic 4(4):88–93, 1996. Isaak, M., Bombardier Beetles and the argument of design, The Talk Origins Archive, 24 April 2001. The Bombardier Beetle (example of coevolved predator/prey relationships), www.ic.ucsc.edu/~envs24/Lecture11/sld043.htm. Weber, C.G., The Bombadier Beetle myth exploded, Creation/Evolution 2(1):1–5, 1981. Weber, C.G., Response to Dr Kofahl, Creation/Evolution 2(3):15–17, 1981. Behe, M.J., Darwin’s Black Box: The Biochemical Challenge to Evolution, Touchstone, New York, 1996. Snodgrass, R.E., Principles of Insect Morphology, McGraw-Hill, New York, 1935. Eisner, T. and Meinwald, J., Defensive secretions of arthropods. Insects, millepedes and some of their relatives discharge noxious secretions that repel their predators, Science 153:1341–1350, 1966. Dawkins, R., The Blind Watchmaker: Why the Evidence of Evolution Reveals a Universe Without Design, W.W. Norton & Co, New York, London, 1986.